6 Knott is a few minutes walk to the seashore and horse riding stables and is conveniently situated for the island's best known restaurants, pubs and wonderful walks. 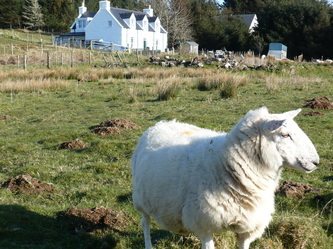 Built nearly one hundred years ago, 6, Knott is a traditional two-storey croft house. It has recently been renovated to a high standard, combining original features with modern comforts. The house sleeps seven people. The four-bedroomed house consists of two double bedrooms, one twin and one single, we also have a travel cot. Downstairs there is a large kitchen with adjoining dining/living area and double doors leading into the garden. The kitchen has an electric cooker and a new, adjustable, Rayburn, a microwave, fridge/freezer, dishwasher. In the separate utility room there is a washing machine and dryer. There are also two sitting rooms (one with a table for dining - or scrabble) both with open fires. There are two bathrooms - a bathroom with shower upstairs and a shower room / wet room downstairs. 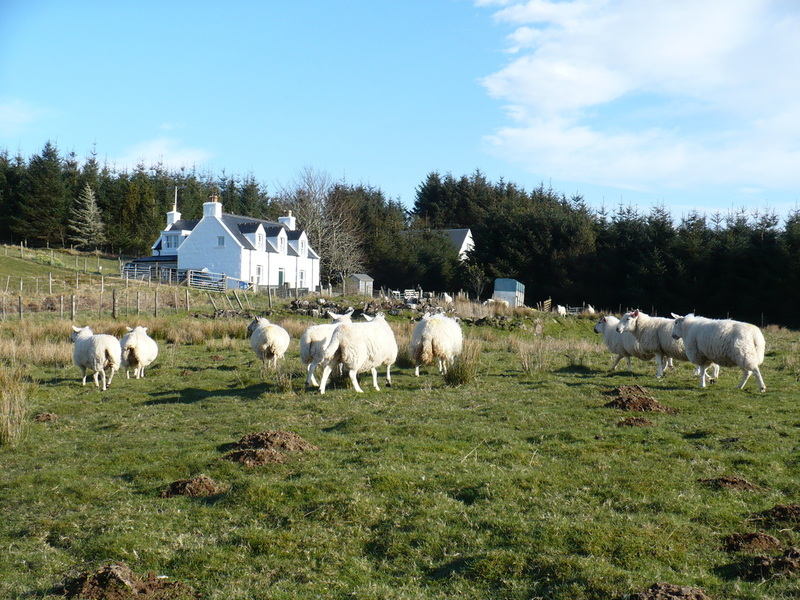 The sea shore is a few minutes walk away, as is the oldest established riding stable in Skye, offering riding lessons and pony trekking along nearby beaches and through lovely countryside. The house is on the edge of the small crofting community of Suledale/Knott, so while peaceful it is not isolated. The nearest pub/restaurant is three miles away (the highly recommended new Edinbane Inn). 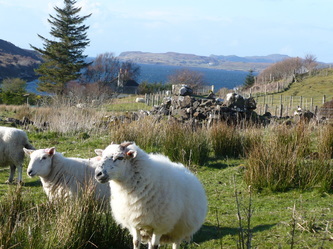 6 Knott is centrally located, halfway between Portree and Dunvegan, and so is an ideal base for exploring Skye. Guest comment May 2013: "We just wanted to say we had the most wonderful stay in your cottage. The cottage met our needs perfectly and the children (10 and 8) loved the garden. Highlights of the week were; your cottage! (the garden room especially), the Elgol boat trip, the live music at the Edinbane Inn, getting our children up on The Table at the Quiraing and seeing a whale at Neist point. The list goes on! We are still coming down from the highs of the holiday!" click here to email or try caroline.lees@btinternet.com. We do our best to reply to emails within 12 hours, weekends may take a little longer.